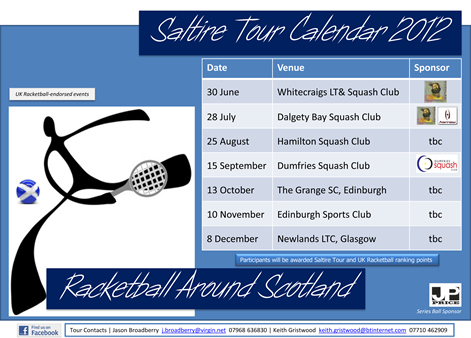 The first ever Scottish Racketball Tour has now been launched. There are 7 events in the series at some of the best clubs all over Scotland. All events are to be played over one day. All tournament entrants will gain points towards their Official UK Racketball Ranking as well as the Scottish Satalite Tour Rankins. Don't Miss Out - Enter now!